attaining a harvest is dim. Following the shift in climate, the community in ward 30, Buhera District through the support of the Oxfam-UNDP/GEF supported Scaling Up Adaptation with a Focus on Rural Livelihoods Project (SCCA) managed to turn to livestock production as one of the many climate change adaptation strategies. “When the Scaling up Adaptation Project came to introduce livestock rearing as an adaption strategy we were sceptical. This was so because as with the crops, our cattle used to also be affected by the droughts. We would lose a lot of cattle due to unavailability of feed and water shortages. But through the SCCA project, all our worries and doubts have been taken away as we have been shown how to climate proof our livelihoods, especially pertaining to livestock.” Peter expresses with confidence. 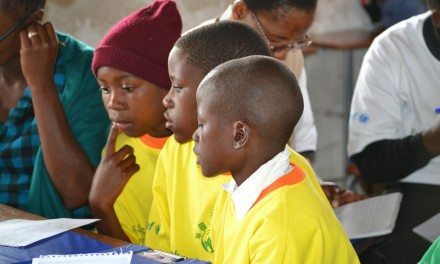 “The first step was in forming a community livestock producer group. Our group named Hazvikoreri Livestock Enterprise which I am Chairman, consists of 68 members. The SCCA project through SAFIRE went on to empower us by encouraging us to rear a variety of livestock such as cattle, broiler chickens and goats so as to increase our resilience by diversifying the livestock options. We received training of how to take care of our livestock. I must confess, we did not know the importance of growing food for livestock but through the project, we have started growing fodder crops for our cattle in addition to planting trees that are nutritious for our cattle such as Mucuna. We have seen the benefits to this as cattle mortality has decreased and even if you look at them, they look healthier and stronger.” Peter adds on with excitement. “Given the improvement of the health status of our cattle, we were encouraged through the project to monetise our livestock. 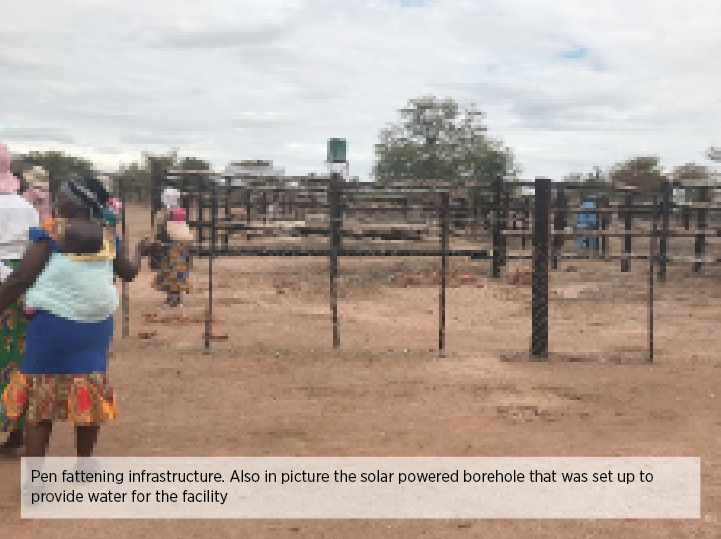 As a result, a feedlot was constructed where we have feeding lots and a solar powered borehole was also set up to provide access to water for our livestock. 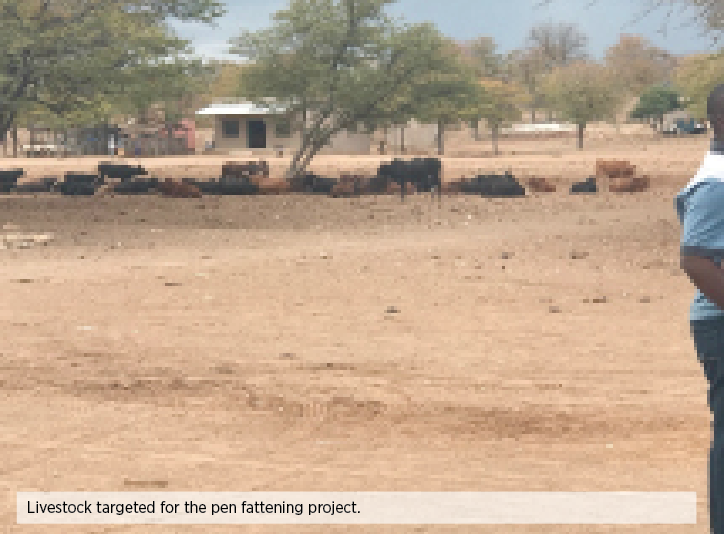 We now practice pen fattening and through the help of SAFIRE and our agriculture extension workers, we have been empowered to secure a market to sell our cattle. This has become our main source of income in addition to it becoming our main source of livelihood. For our pen fattening project, we starting with cattle, however plans are underway to set up another pen for goats. We also have a chicken project, with the chicken selling like hot cakes such that the demand exceeds the supply. It is our vision that the Hazvikoreri Livestock Enterprise also deals with rearing of indigenous chicken breeds in addition to the broiler chickens as well as go as far as fish farming. We want to diversify the animals we keep and sell. ” Peter concludes. The Initiative is being championed under the Scaling up Adaptation Project with a focus on Rural Livelihoods implemented by OXFAM through SAFIRE in Buhera and Chimanimani and through Plan International in Chiredzi; and under the Scaling up Adaptation in Zimbabwe through Strengthening Integrated Planning Systems Project implemented by the Ministry of Environment, Water and Climate through EMA.